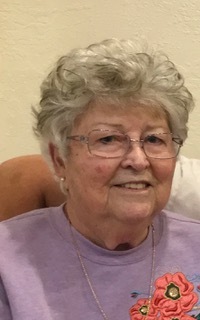 Sherry Mae Shackelford, 85, passed away peacefully on September 24, 2018 in Paradise, CA. Born in San Francisco, CA to her parents Juanita Chaffee and LaMar Lloyd Lawrence both from Kansas. Raised by her mother and step-father Basil Burt Burgess until she met the love of her life Jeff Shackelford. A beautiful marriage and union that lasted over 64 years. She was an avid reader who loved to travel, sew, crochet and knit. For over 24 years, she enjoyed throwing the annual "Shackelford Twirl" every August for their friends. Sherry is survived by her husband Jeff; their children Jeffrey Paul Shackelford and Jeri Leigh Valdez (Eli); five grandchildren, Taunya, Jessica, Brandon, Ryan and Max as well as 11 great grandchildren. No services are planned at this time. She will be forever missed and may she rest in eternal peace. We love you.